Tourist who visit the place falls in love with it, tourist are passionate to discover undying passion to find a permanent place which is always unexplained and always mysterious. Ranthambore is mostly famous for housing fierce and huge tigers which are the major attraction point of Ranthambore National Park. Located in the foothills of Vindhya and Aravalli, the place is quite famous as tiger reserve. The place is compact with various deluxe properties. Tourist can solve the mystery of Ranthambore with a comfortable stay at tiger moon resort which is one of the best 4 star hotels in Ranthambore. Guests can select from the spacious cottages that come with sit out area/ balcony. All the rooms are beautifully designed and are filled with modern amenities such as air cooler, tea and coffee maker, telephone, wardrobe, Wi-Fi, a writing table, table lamp, comfortable chairs along with 24 hours hot and cold water facility. The hotel is located 10 km from Sawai Madhopur Railway Station. The hotel organizes jungle safari and camel cart rides to give chance to tourist peek into the spirit of Rajasthan. The guests can recreate themselves with a dip into the swimming pool or enjoy the evenings with puppet shows and fold dance performance while sitting round the campfire in the garden area. Guests who wish to know more about the place can visit the library at resort. Guests can also enjoy an array of vegetarian and non-vegetarian delicacies at in-house restaurant. Jungle Safari, Ranthambore National Park and Ranthambore Fort are major tourist attractions of the place. 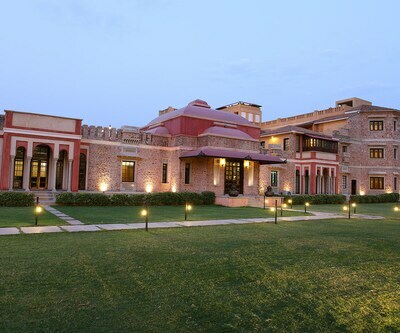 the tiger villa is also a 4 star Ranthambore hotels which is situated at Ranthambore Road. 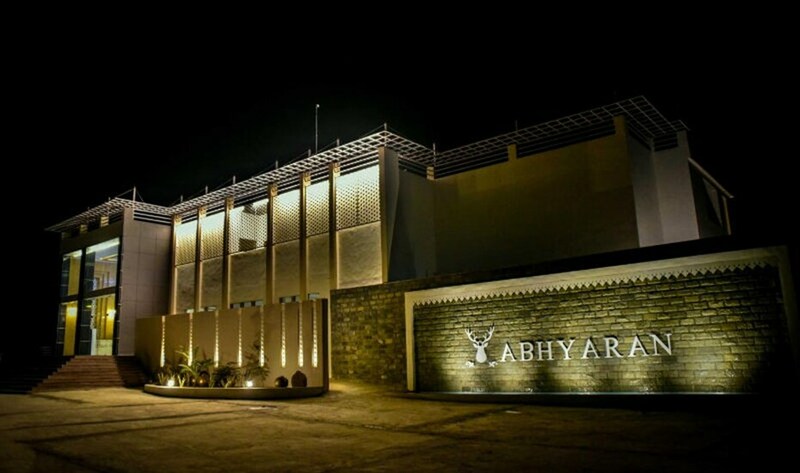 The property features a unique Rajasthani look with the touch of royal architecture. The property is nestled way from the chaotic city life and serves as an ideal place to soak in the bliss of nature. The property is located 2 km from Sawai Madhopur Railway Station and is 11 km from Ranthambore National Park. The rooms of the property are lavishly designed and are fitted with all modern amenities. These spacious rooms are well-lit and well-groomed. One can take a refreshing dip at the swimming pool and come out feeling relaxed after a hectic day. Hotel also provides its guests some refreshing activities such as nature walks, camel/horse riding and many more. The in-rooms facilities include AC, tea and coffee maker, television, attached bathroom with hot and cold water supply. Ranthambore Fort, Ranthambore National Park and many other tourist attractions are located near the proximity of the hotel. 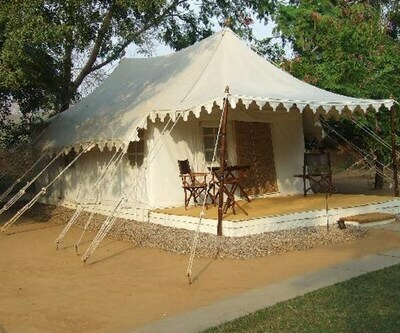 Kipling Lodge, Sultan Bagh – Jungle Camp, Vivanta By Taj Sawai Madhopur, Hotel Ranthambore Regency are to name a few other 4 star hotels in Ranthambore. These properties are built to offer an array of heart-warming facilities to its guests. The Tigress Ranthambhore How far from national park.? Its very closer to it & Zone 3 & 5. What are the facilities at Vanya Mahal Ranthambhore? Vanya Mahal is providing all facilities & amenities which we can expection from a 4 star hotel & resort. How is the Abrar Palace Ranthambhore for family stay? Abrar palace is a 4 star resort,its very good hotel for family stay.